Check-in worker Nadia Eweida can now wear her cross. This is part of a longer story that started last fall when Nadia was sent home for wearing her crucifix. (British Airlines Sends Employee Home for Wearing Crucifix). A Christian employee of British Airways (BA) has lost her suit against the airline for telling her she cannot wear her crucifix, while allowing Muslim and Sikh employees to don their religious scarves and turbans. Nice job British Airways, thanks for being consistent. “When Michelangelo carved the beauty of the human form in marble, he knew that true art is “but a shadow of the divine perfection.” As true art shadows God, so too, the beauty and complexity of the human form is an unrivaled masterpiece that proclaims its Creator. 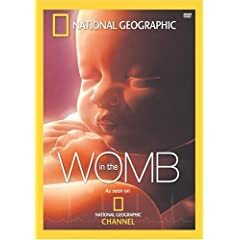 A new DVD and accompanying book from National Geographic called In the Womb highlight this masterpiece of life in its earliest stages. Despite National Geographic’s evolutionary language, these images are one of the best visual apologetics for the Creator and for choosing life that we have seen in a long time. Today, thirty-four years after Roe v. Wade, we can see into the womb with detail that was unimaginable in 1973. Now, 3-D and 4-D scans—scans that literally piece together images to show a baby in motion in the womb—have brought the miracle of life into new focus. In the Womb author, Peter Tallack, calls this new technology the medical equivalent of the Hubble Space Telescope. And the images it zooms in on during the odyssey of pregnancy may change the minds of women contemplating abortion and ordinary men and women who have not reflected deeply on abortion’s horrors. Thanks for the encouraging words. I do intend on blogging more regularly. It’s been a resolution. Know that things are well and I appreciate your thoughts. * Special thanks to CarolAnn. Appreciate your prayers.